• Passion fruit egg: Chewy passion fruit caramel nestled inside a thin Tanzanian white chocolate shell. • Pecan Praline egg: Solid pecan praline (pecan butter mixed with Madagascan 70 per cent chocolate) with crunchy pecan pieces. 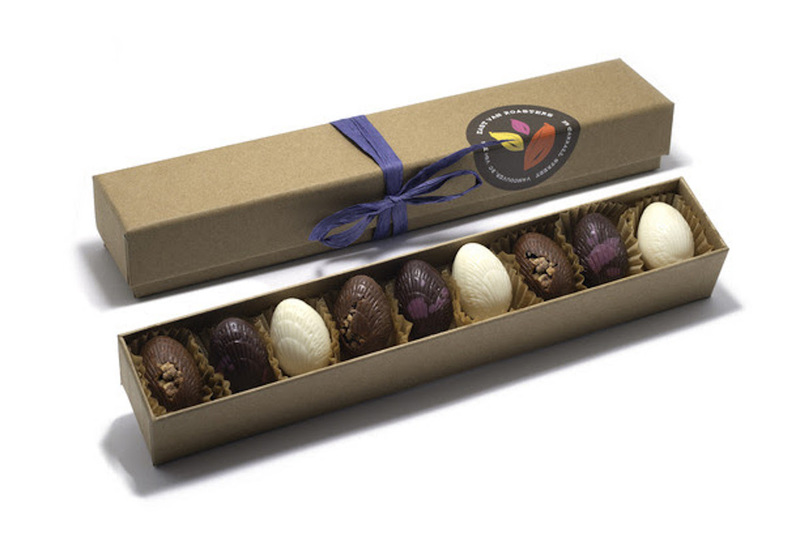 • Malted Ganache egg: Thin 70 per cent Peruvian chocolate shell with a creamy malt ganache centre. • Toffee Bunny: Solid Guatemalan 70 per cent chocolate bunny with crunchy butter toffee pieces. • White Chocolate Parsnip Pops: Solid vegan white chocolate pop. • Coconut Parsnip Pops: Solid vegan white chocolate pop with toasted coconut. • Bunny Pop: Solid 60 per cent Guatemalan dark milk chocolate pop. • Banana Sesame: 70 per cent Kallari chocolate mixed with roasted sesame butter and cinnamon, and topped with banana chips, sesame seeds and salt. • Lemon Pistachio: Lemony vegan white chocolate, with toasted pistachios and candied lemon zest. • Pacific Rim: 70 per cent Madagascan chocolate with East Van Roasters espresso powder and vanilla bean. 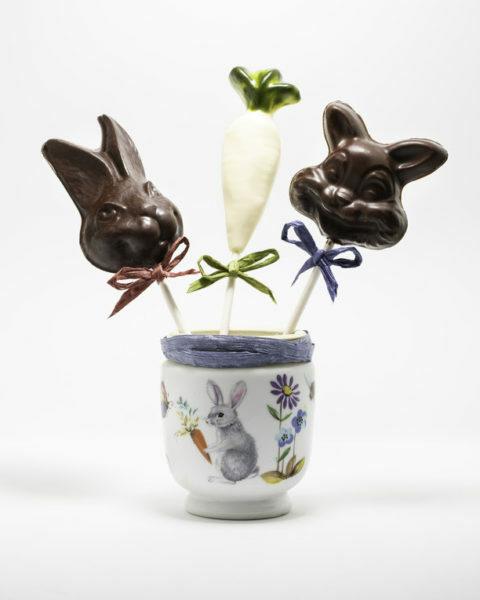 The 2019 Easter collection is available now at East Van Roasters, open from 9 a.m. to 5 p.m., Monday to Saturday. Requests for large orders can be made by emailing info@nulleastvanroasters.com. Donations that support East Van Roasters and other social enterprises operated by PHS can be made at PHS’s Canada Helps Page. East Van Roasters is a social enterprise operated by the PHS Community Services Society that roasts specialty coffee and makes bean-to-bar chocolate using single origin, direct and fair trade beans. Situated in the historic Rainier Hotel at 319 Carrall St., East Van Roasters is a fully registered charity that employs women who have experienced challenges living in Vancouver’s Downtown Eastside, and who benefit from a flexible and supportive work environment where they learn to produce fine chocolate and coffee and baked goods. All proceeds go back to supporting the social enterprise and the work they do to remove barriers for women in the community. Address: 319 Carrall St., Vancouver, B.C. Media release and images provided by Katharine Manson, Katharine Manson Communications. Feature image: East Van Roasters 9-Piece Chocolate Egg Confection Box, photo Kevin Fox.